Posted on October 12, 2014 by Sofie L.
Drilling will continue for a few more hours tomorrow until the geophysical logging equipment arrives. We are all very excited and can’t wait to get the cores back to GEUS so that we can study them. Almost 95 m of Lower Jurassic and hopefully also uppermost Triassic (Rhaetian) near coastal sedimentary strata which we think will provide us with additional information on the end-Triassic mass extinction and the biotic recovery that followed. 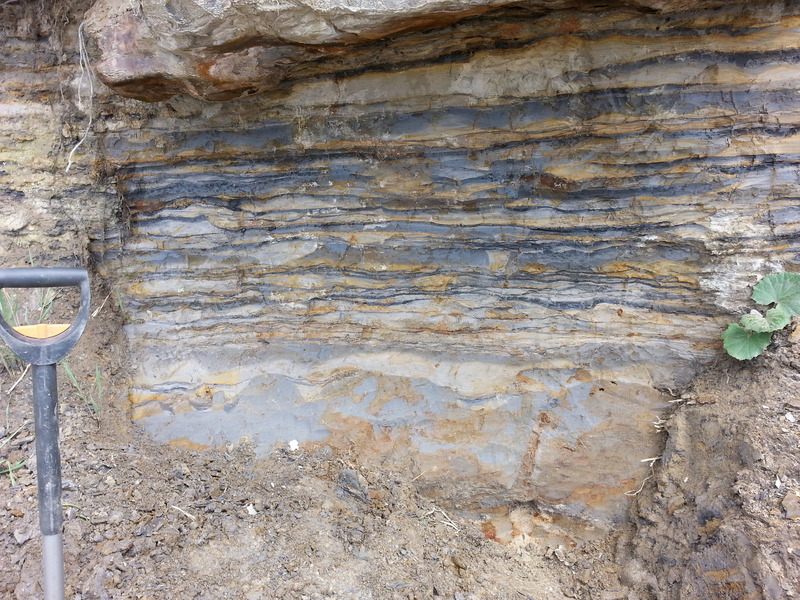 Posted on October 9, 2014 by Sofie L.
The Sose Bugt outcrop and our on-site technician. Our core drilling through the Triassic-Jurassic boundary at Sose Bugt on Bornholm is progressing faster than expected. The drilling commenced Wednesday and we have already reached a depth of 64 m. Just like the outcrop succession along the beach, the deposits that mainly consist of sand, heteroliths and clay are faurly unconsolidated. The biggest challenges so far have been a siderite and a loose sand layer. None of these two were successfully cored. Posted on October 4, 2014 by Sofie L.
On Tuesday next week we launch our new core drilling project. 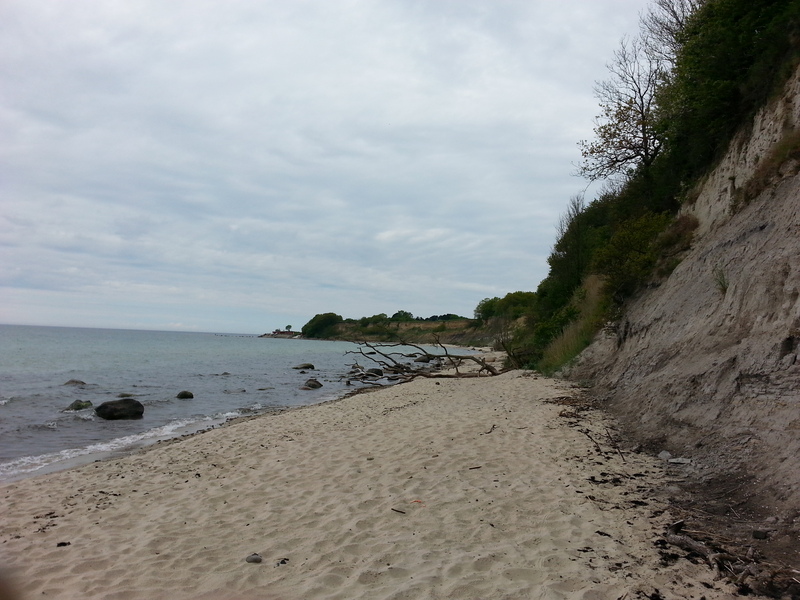 This time we are going to drill through the lowermost Jurassic sedimentary succession at Sose Bugt on the Danish island of Bornholm, with the aim to reach uppermost Triassic rocks. 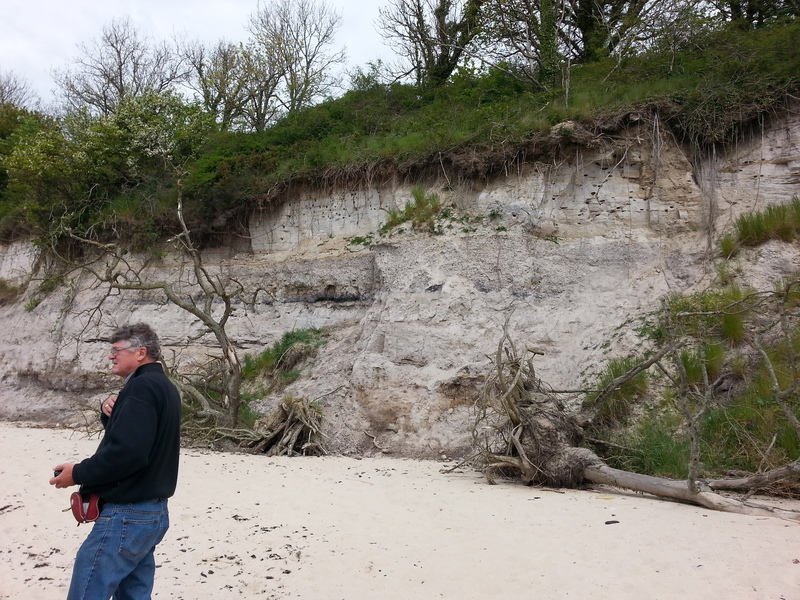 Despite many excellent geological studies in the area it is not clear if the Triassic-Jurassic boundary is preserved on the Sose Fault block, but the presence of Hettangian-Sinemurian strata in the coastal cliffs at Sose Bugt and Upper Triassic green and red clays along parts of the coast make it an ideal area to drill for the TJB. Our core drilling project is funded by Geocenter Denmark and is a part of our research project on the end-Triassic mass extinction event. The core drilling will provide us with new research material, hopefully both of the mass extinction interval and of the recovery in the earliest Jurassic.